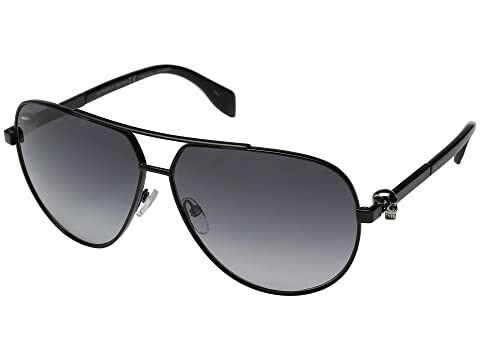 Express fashion sensibilities like no other when you are wear these distinctive Alexander McQueen™ sunglasses. Acetate lenses with UV protection. Iconic skull hardware on temples. We can't currently find any similar items for the AM0018S by Alexander McQueen. Sorry!